DOT versions are for use in the U.S. DOT-compliant guarantees that your lights are legal on the road, meeting section 108 requirements of the United States Federal Motor Safety Standards. Your DOT-compliance is clearly etched on the lens of the light. The Model 8700 Evolution J2 Series is intended for use on 2007+ Jeep Wranglers & Jeep Wrangler Unlimited. 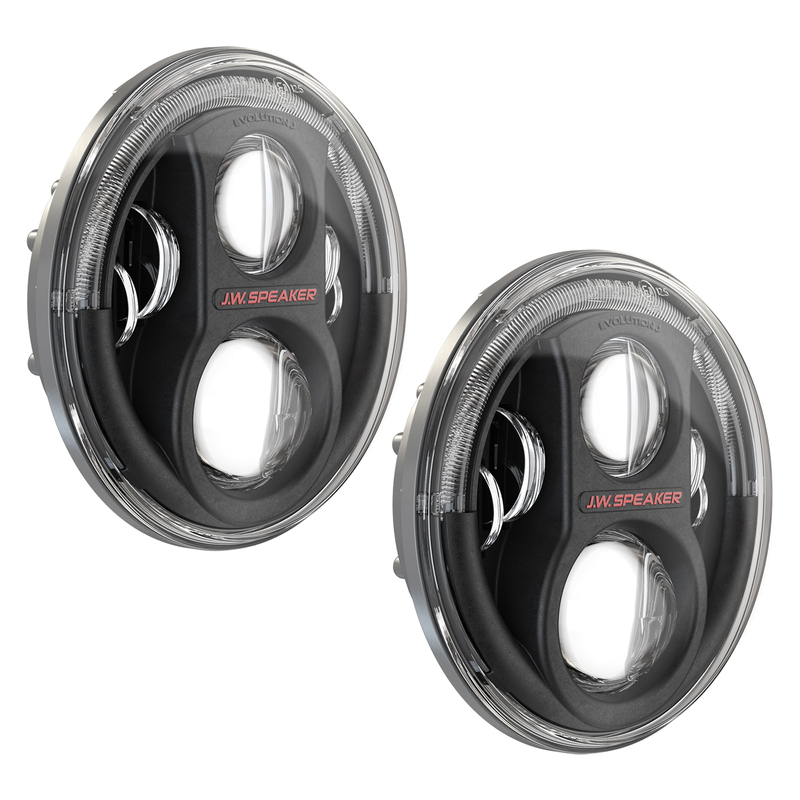 This series will fit 2017 Jeep JK models. Refer to specifications for more information on which models offer plug & play. The Model 8700 Evolution J2 Series offers a new technology that we call Dual Burn™, giving our riders that powerful punch of light they are looking for at night, while maintaining the widespread visibility – lighting things up for both on and off-road users. This new series, referred to as the J2 Series, offers three new Jeep LED lights: dual-burn off-road headlights, smoked turn signals, and carbon fiber jeep fog light kits, all with plug & play installation.